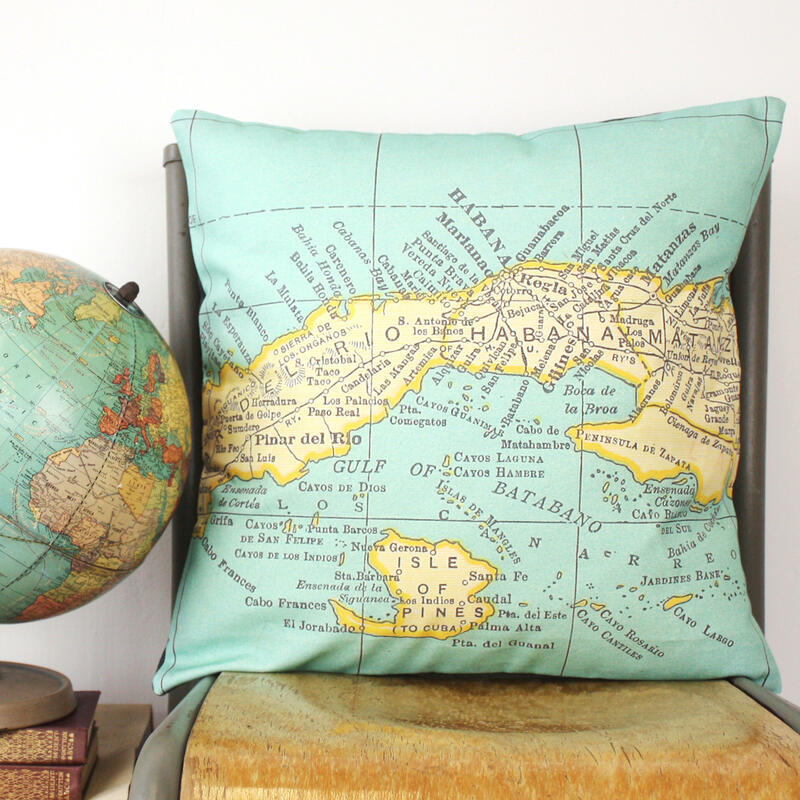 This cushion features a vintage map of the British Isles: England, Ireland, Scotland and Wales. 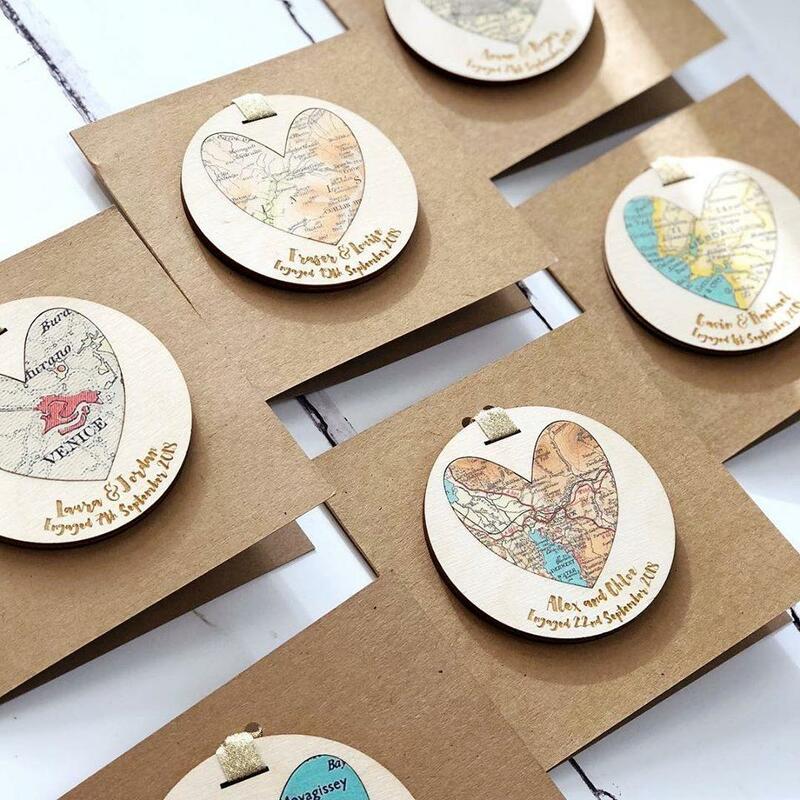 We can even embroider hearts over your favourite locations! 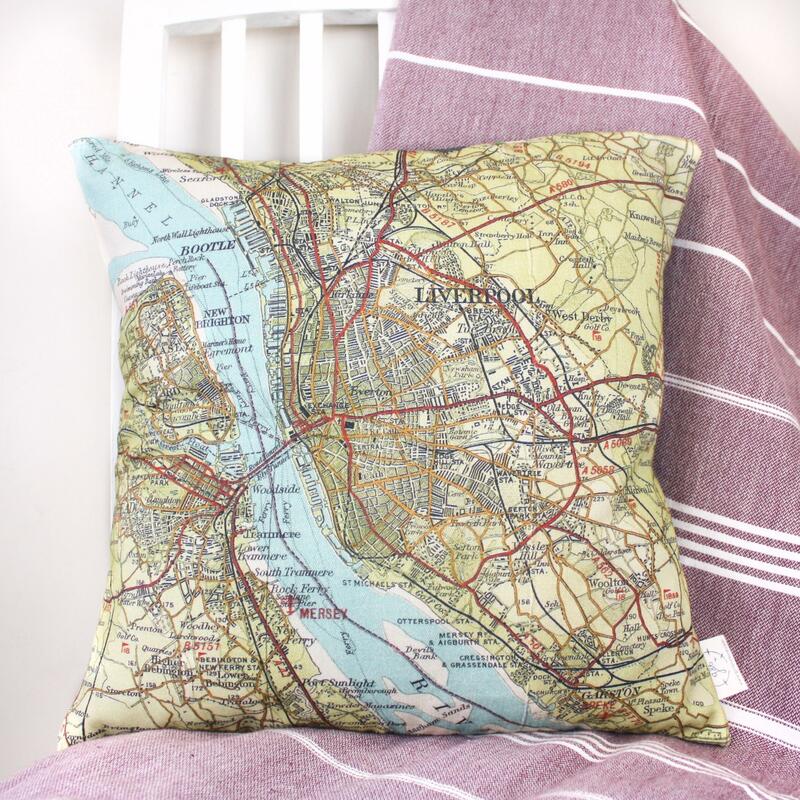 This cushion makes a perfect personalised gift - for those keen travellers and homebirds alike. Memories of happy times will bring the warmth of nostalgia and a bunch of smiles into any home. 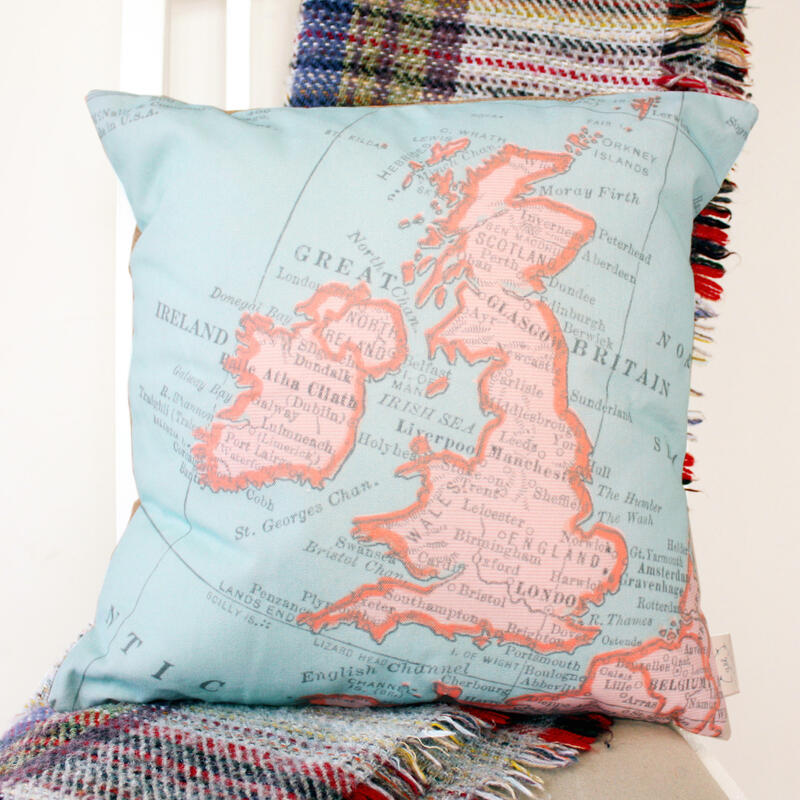 This beautiful cushion features the United Kingdom in soft blue and pink tones. England, Ireland (Northern and Republic), Scotland and Wales are outlined, with major cities labelled. 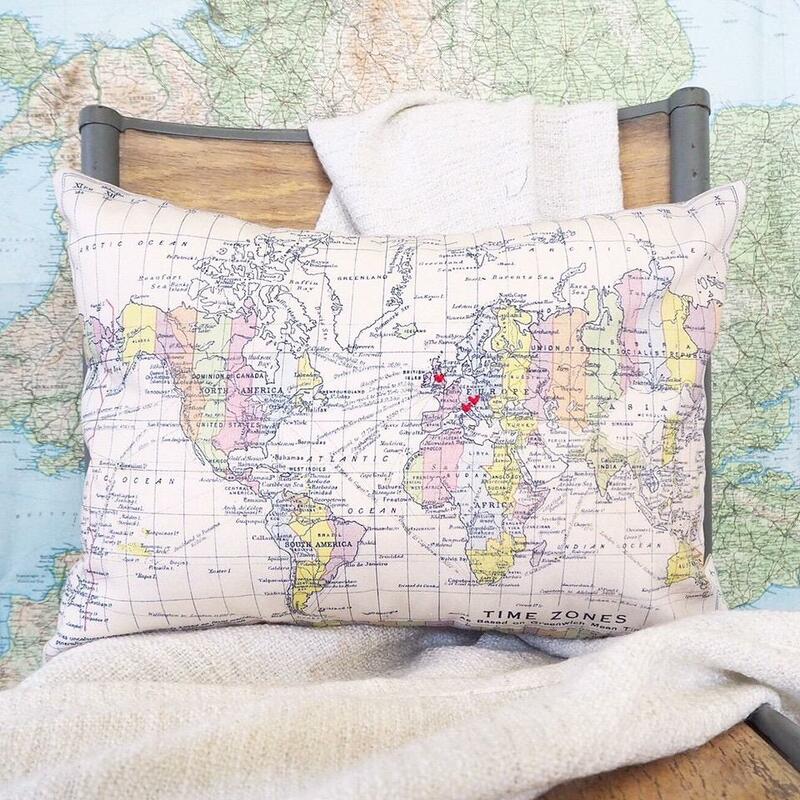 The corner of France and Belgium are visible at the bottom of the cushion, as well as the Orkney and Shetland Islands to the North. 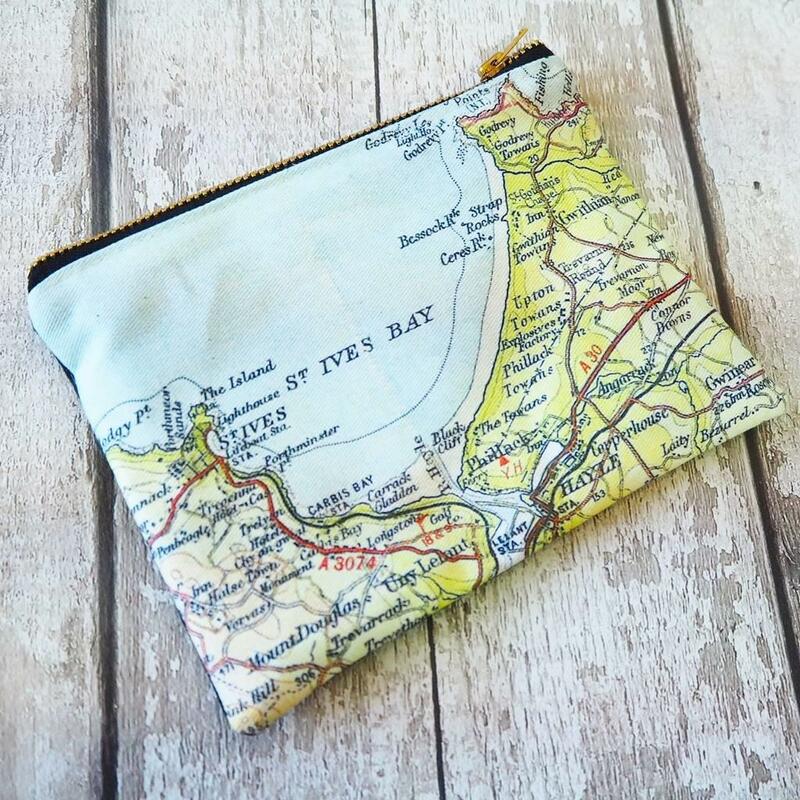 Perfect as a reminder of the beautiful places that we are lucky enough to have on our doorsteps, or as a gift to remind a far-away relative of home. 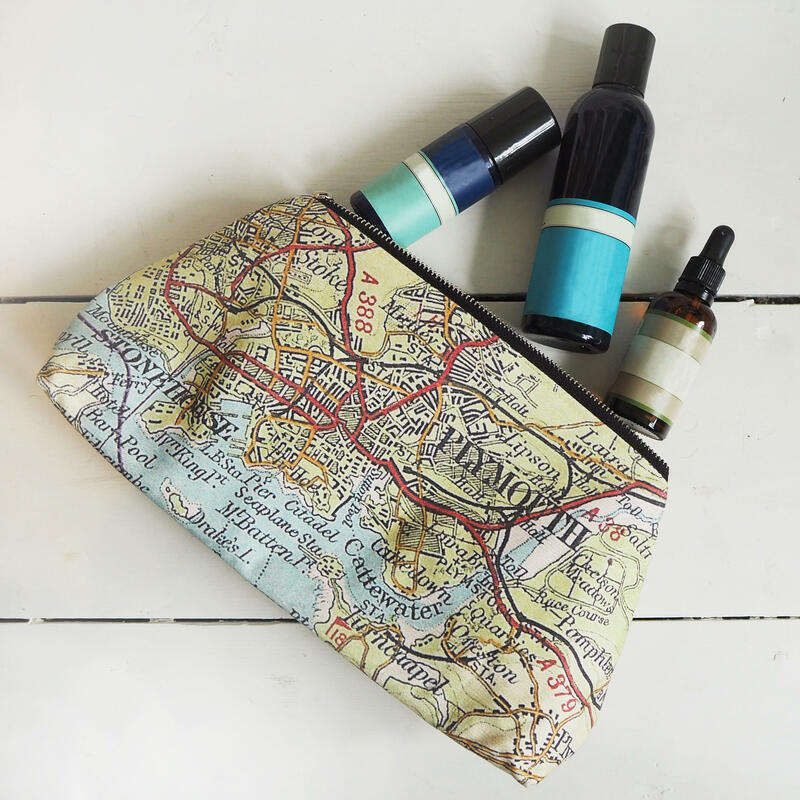 Add embroidered hearts onto the map and bring together far-flung family members or friends. 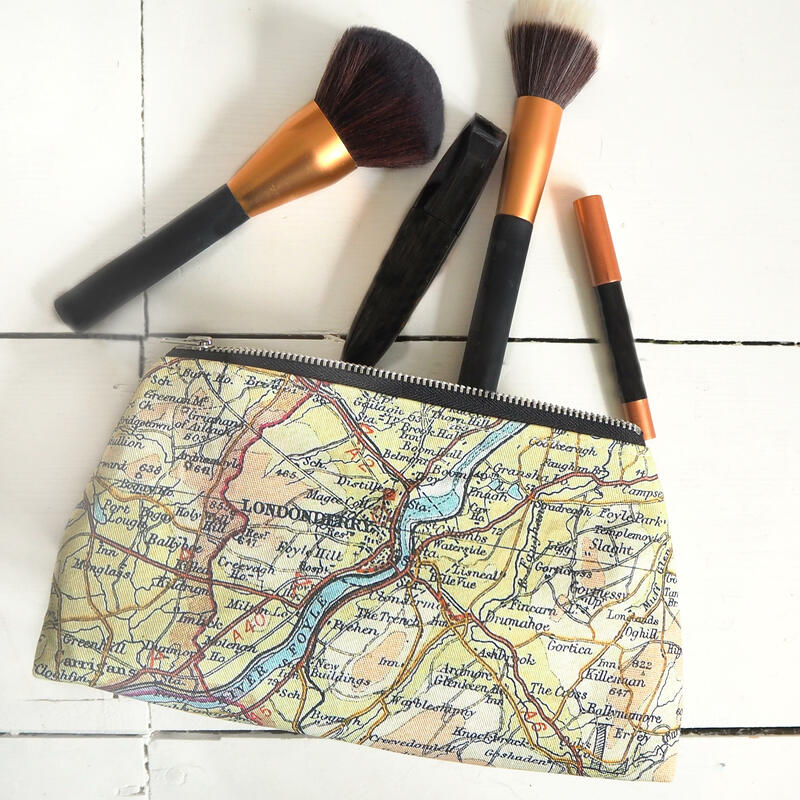 The cushion is backed in a linen-style fabric in either charcoal grey or sandy cream, perfect to co-ordinate with any interior. Comes with a cushion pad. See our full range of cushions here.